Bizarre vintage children’s book clipart! vintage 1913 children’s book illustration. 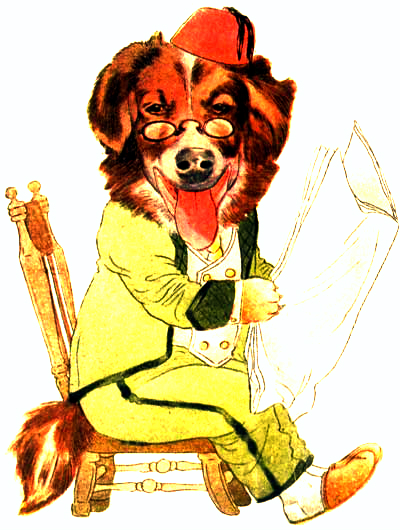 Dog reading a paper. totally free to use in personal and commercial work without permission. Clipart created from editing vintage digital prints.